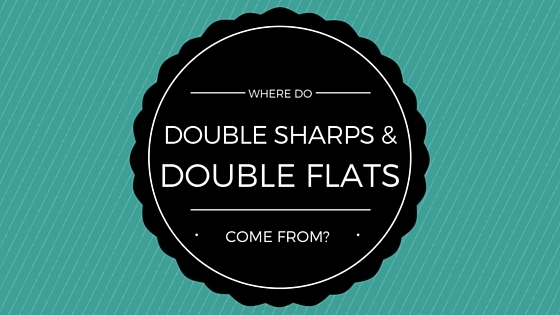 Where Do Double Sharps and Double Flats Come From? 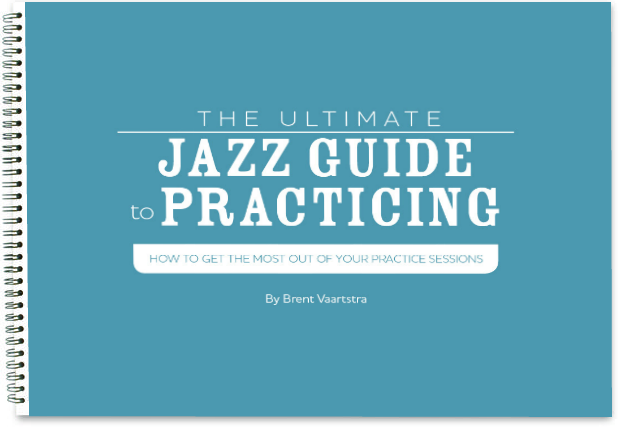 I write lots of jazz theory articles for the LJS blog, but I haven’t really written a straight-up music theory article that doesn’t talk about jazz at all. Until now. This article is essentially a collection of music theory musings that I’ve been forced to confront because of a recent post. This article isn’t really even specifically a jazz article at all. I don’t think every musician will find this article to be interesting, but if you’ve ever wondered where a double sharp or a double flat comes from, we’ve got examples and answers. Have you ever heard of a TRIPLE FLAT? We’ve got one of those here, too. A quick background: I am a classically-trained jazz pianist with a college degree in music theory. I try to keep these kinds of musings to myself most of the time, but today I couldn’t resist! I recently did a post in which I listed all of the 7th chords in a PDF. In the PDF I listed all of the major 7th, dominant 7th, minor 7th, half-diminished, and diminished 7th chords. While I PLAY these chords all of the time when playing standards, I don’t often write them out. I was originally going to title this article: Does a Cbdim7 Chord Exist? But then I thought better of it, since no one has ever given a Cbdim7 chord a passing thought. Except me. For my recent article, I wanted to write out ALL of the basic 7th chords without cutting corners (i.e. not writing enharmonic tones for readability, but staying true to theory, even if it means using double flats, double sharps, etc.) It forced me to confront 7th chords on a deeper level than I ever have. In my first draft, I ended up writing out quite a few double flats, and even a TRIPLE FLAT. I ended up editing out many of these chords, and I’ll explain why as we go on. I’ve long thought of 7th chords as a very basic building block of music. They aren’t a terribly advanced concept. You just stack thirds, building “snowmen” on a staff, using every other line or every other space. You skip every other letter name when you are stacking thirds. Because you are supposed to skip every other letter name, you can start to run into some weird accidentals. Unless you are trying to go for readability, double sharps and double flats start creeping in. You can be nice and keep music from having double sharps and flats, but if you are concerned about being theoretically accurate double flats and double sharps start showing up if you start with a lot of sharps or flats to begin with. In the bottom half of the circle of fifths, we have certain keys that can be written in sharps and in flats. These keys SOUND the same but are WRITTEN differently. These keys are why we have 12 keys by SOUND but 15 keys if you want to write them all out. 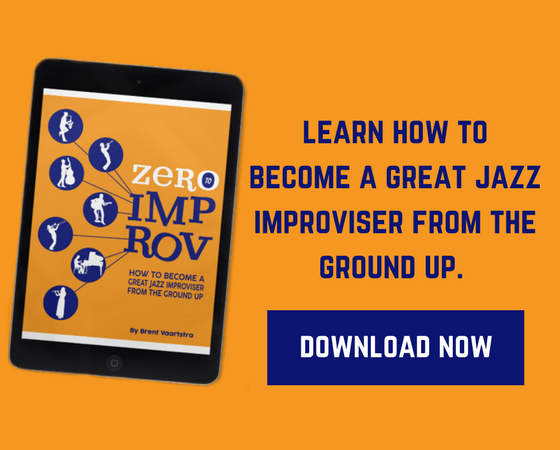 Want something a little more theoretical and less practical? Ab major (4 flats) vs. G# major (8 flats) Nobody actually thinks in G# major, and nobody STARTS a piece in G# major, but classical composers can modulate there! Bach did, for instance, as we shall soon see. Aside: Notice that the sharps and flats add up to 12, in each case! 7+5=12, 6+6=12, 4+8=12. Music theory is fascinating! When I was writing out all of the 7th chords for the other article, I had a number of questions about the instances in which I should choose to write out a half-diminished or diminished chords in sharps versus flats. I know a lot of musicians, but I can probably count on one hand the number of people I can go to for a really deep music theory question. Fortunately, one of the people I can consult with is my dad, who has a doctorate in music history, and understands music theory on a very deep level. It’s always interesting to get his perspective as a classical pianist, and he’s extremely familiar with classical repertoire. Off the top of his head, he can provide examples of pieces and composers who demonstrate the theoretical concepts we are talking about. Notice that some of the chords on the PDF are written two different ways enharmonically, but I chose not to write it out in two different ways in other cases in which I could have. For instance, why did I write out G#dim7 and not Abdim7? Theoretically, you are supposed to skip every other letter name when writing out chords in thirds. Abdim7 has two double flats, which isn’t very friendly to look at. When you start writing them out in flats (Dbdim7 instead of C#dim7, for example), the diminished chords start using a lot of double flats. These chords generally work better as sharps instead. Incidently, when writing out the 7th chords, I did NOT end up using ANY double sharps, though I would have if I were writing out a chord like A#min(Maj7) (A# C# E# G (a.k.a. G##). I avoided the min(Maj7) quality because it’s not really one of the basic 5 qualities of 7th chord. For another example of a double sharp,, let’s write out a minor scale that isn’t a natural minor scale. A harmonic minor scale raises the 7th scale degree. For example, consider A# harmonic minor. A# natural minor has 7 sharps. It is the relative minor of C# major, also with 7 flats. You sharpen everything. Because you need to raise the seventh scale degree, a harmonic minor scale is a great place to find a double sharp () if the seventh was a sharp to begin with. So, what was the strangest chord I encountered when writing out the 7th chords? Cbdim7=Cb Ebb Gbb Bbbb (triple flat???). Does Cbdim7 exist? Technically…but I wouldn’t recommend using it! So, let’s try to analyze this a bit further. WHY does this chord have a triple flat (and why would I discourage people from ever using it)? Remember when I said that a classic diminished chord typically should start on the LEADING TONE (seventh scale degree)? The leading tone is a half-step underneath the tonic root, but is also a LETTER NAME underneath the root. Cb major is a perfectly reasonable key. It has 7 flats. Cb Db Eb Fb Gb Ab Bb Cb. Everything is flat. That’s ok. The enharmonic equivalent is B major, which has 5 sharps. Bach didn’t even write in Cb Major when he wrote the Well-Tempered Clavier, 48 Preludes and Fugues, two preludes and 2 fugues for every major and minor key. Bach used B major and B minor instead of Cb major and Cb minor. Who can blame him? The piece modulates elsewhere, also. This C# major Prelude and Fugue from Bach’s Well-Tempered Clavier Book 1, START in C# major (7 sharps) but uses a number of double #s as the pieces modulate to other related keys. You’d never START piece in 12 flats, but a gifted and ornery classical composer could maybe get a piece to modulate to 12 flats if they start in a lot of flats and REALLY get carried away in their modulations! So that’s where the triple flat comes in the Cbdim7 comes from. It’s ridiculous. But theoretically possible! Don’t ever use it, ok? It actually makes me (an essentially-amateur "musician" who likes to tinker with songs and sheet music and such) feel better that a person such as yourself well-<i>trained</i> in music theory has these kinds of questions and moments of revelation. 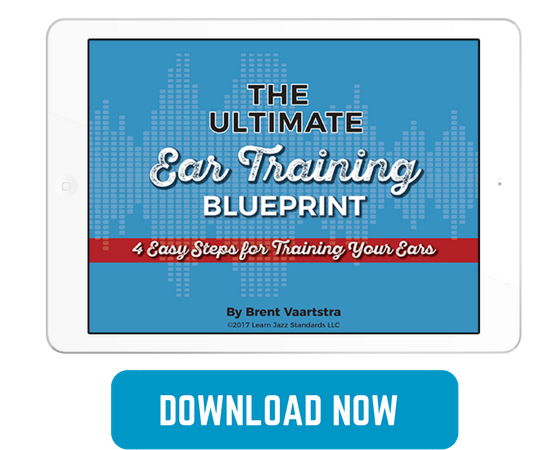 I like to believe I have a general grasp of most musical theory concepts, but many of the details are still too overwhelming for me to want to buckle down and really iron-out and learn. Don't let anyone get squeamish about double-flats and double-sharps, though. They're a…uh… perfectly natural…aspect of Western music theory which may be not always be understood but are essential. I agree we can keep the triple-flats in the theoretical puzzle box, though.